In 2015, Whole Foods Market earned $536 million in net profits. By late 2016, the natural foods behemoth operated more than 450 stores. But in the summer of 2017, Amazon purchased the company for a whopping $13.7 billion. Now the organic supermarket pioneer is owned by one of the most brutally efficient and standardized retailers in the world, a corporation with a relentless focus on selling things cheaper and faster. 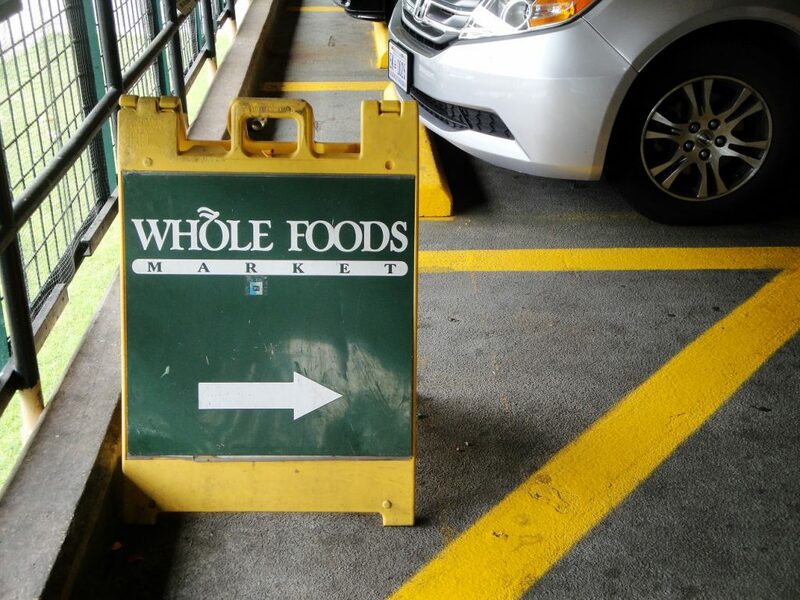 Whole Foods has forever changed the natural foods business in the United States. But how did all this happen? The company launched in 1980 in Austin, Texas, in a very different time and place for natural foods than today’s Seattle where Amazon is based. Austin had carried the unofficial title of countercultural and progressive capital of Texas for decades. Like other major college towns such as Berkeley and Ann Arbor, Austin was a place where the New Left and counterculture had a deep and lasting influence that extended far beyond the early 1970s. The city was also home to one of the most vibrant natural foods communities in the country. The Good Food Store opened in 1971 as the city’s first major natural foods seller. Another dozen or so independent natural foods stores operated in the vicinity of campus and the adjacent Clarksville neighborhood. In the mid-1970s, Austin had four natural foods co-ops, ten co-op houses, three co-op farms, and a variety of worker collectives that included a bakery and a vegetarian restaurant. The typical health foods store has either an announced or implicit philosophy about what is good for people and those things are all it offers to shoppers. The supermarkets are the exact opposite; they carry only what the customers demand, a demand which is often manipulated by mass marketing and advertising. What we try to do is forge a dialogue between us and our customers. . . . Our beliefs are changed by this process and it results in changes in our product mix. At the same time, we are changing—for the better—the way a lot of people eat. Mackey believed that by avoiding natural foods sellers’ didactic tendencies and the deceptions of conventional supermarkets, Whole Foods could transcend the shortcomings of both approaches to groceries. Whole Foods embraced expansion more enthusiastically than any natural foods business before it, both through starting new stores and by acquiring competitors. Described by colleagues as “pathologically competitive,” Mackey was determined to make Whole Foods the undisputed king of the natural foods business. By 1984, Whole Foods had opened stores in Austin and Houston, making it “a $16 million business.” In 1986 and 1988, it acquired stores in Dallas and New Orleans. Prior to Whole Foods, natural foods stores rarely acquired their competitors. Net profits for supermarkets typically hovered around 1 percent, but Whole Foods aimed for much higher margins of between 3 and 6 percent. By 1989, Whole Foods made its first move toward national, not just regional, retailing when it opened a store in Palo Alto, California. By the start of the 1990s, Whole Foods’ annual sales were well higher than $45 million, and the company declared that it was the biggest seller of organic food in the country. Whole Foods’ growth took place amid one of the largest waves of corporate mergers and acquisitions in U.S. history, and its expansion was enabled by the support of corporate investors who rarely if ever before had shown interest in natural foods. At the time of the Whole Foods’ foray into California, three venture-capital firms owned one-third of the company. The same firms had several major military contracts, including one for the Strategic Defense Initiative, or “Star Wars” program. By selling to venture-capital companies, Whole Foods had made a decisive break from the tradition of independent activist businesses seeking to democratize ownership through their companies. In January 1992, Whole Foods broke with activist enterprises in another critical regard, making an initial public offering of its stock on the NASDAQ exchange and becoming the first ever publicly traded natural foods retailer. The infusion of capital allowed the company to embark on an aggressive growth strategy and a buying spree to acquire its competitors. Over the course of the 1990s, Whole Foods purchased the pioneering natural foods supermarkets Bread & Circus and Mrs. Gooch’s Natural Foods Market as well as the North Carolina chain Wellspring. It also opened scores of new locations. Whole Foods’ meteoric rise continued amid decades of nearly uninterrupted growth of the natural foods market. More than thirty years of annual double-digit growth have produced a natural and organic foods marketplace with sales greater than $130 billion. Yet although natural foods stores pioneered the organic marketplace, today they account for a little more than 40 percent of that market’s revenue in the U.S. Conventional grocery chains and big-box retailers such as Walmart have come to embrace organic foods. Since its founding, Whole Foods has made its name bucking the conventional wisdom of both the natural foods community and corporate businesses—even as it has come to epitomize the massive, often mercenary contradictions of Big Organic. At this point, it would seem, natural foods are here to stay in the mainstream and the dominant model for selling them is unquestionably corporate. This entry was posted in Food Industry and tagged capitalism, food coops, health foods, natural foods, whole foods. Bookmark the permalink. Joshua Clark Davis is an assistant professor of history at the University of Baltimore and the author of From Head Shops to Whole Foods: The Rise and Fall of Activist Entrepreneurs. His research has been supported by fellowships from the National Endowment for the Humanities and the Fulbright Scholar Program, and he has written for the The Washington Post, Slate, Jacobin, and The Atlantic.